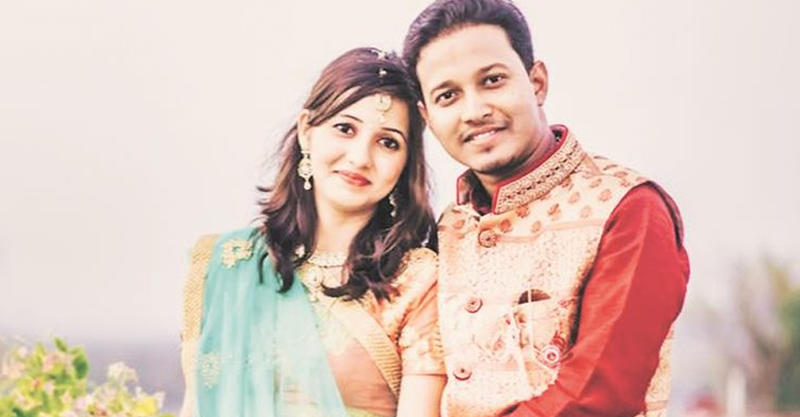 Odisha police arrested an English lecturer of a private college on charges of plotting and executing a bomb blast that killed a newly-wed software engineer, his great-aunt and severely injured his wife two months ago. The CID produced the accused, Punjilal Meher, in court and got him on six-day judicial remand for further questioning. “It’s well established that Punjilal masterminded and executed the crime almost single-handedly. He himself made the bomb” said Odisha director general of police RP Sharma. The bomb, sent by courier from Chhattisgarh capital Raipur, exploded when Soumya Sekhar Sahu, 26, opened the parcel at his family home in Bolangir’s Patnagarh town on February 23. The explosion killed him and his great-aunt Jemamani Sahu, 85. The newly-wed bride, Reema, 22, suffered extensive injuries in the explosion and was admitted to hospital for more than a month. Soumya and Reema had been married for five days. Investigators said Meher, 46, who teaches at Jyoti Vikas College in western Odisha’s Patnagarh town in Bolangir district, was aggrieved over the software engineer’s mother, Sanjukta Sahu, replacing him as the principal. “Before May 2014, when Sanjukta Sahu, a history lecturer, became the principal of the college, Meher was the principal. This rankled Meher and triggered hate and envy in his mind for her,” said CID inspector general Arun Bothra.